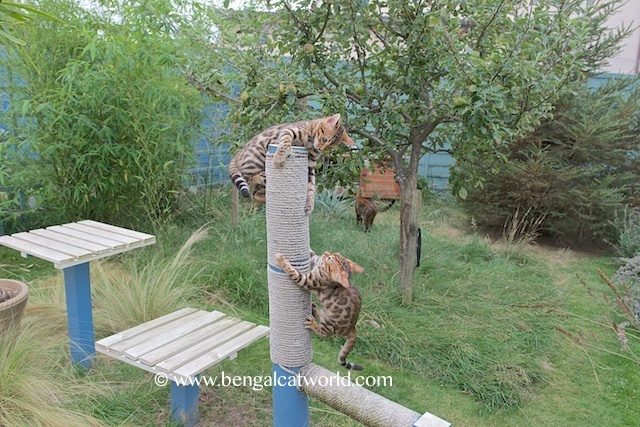 I’m often asked if Bengals get on with other kitties, and in our experience the answer is definitely yes! 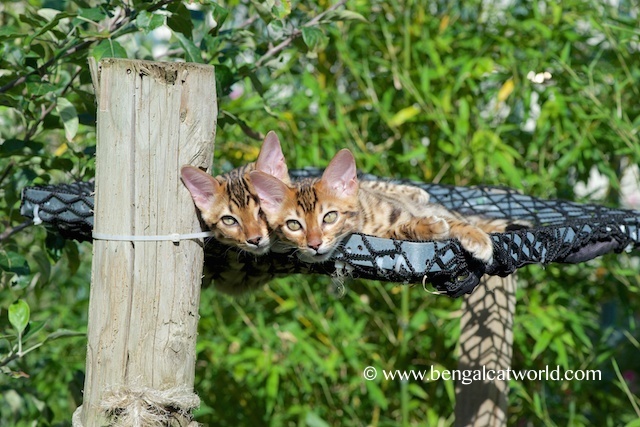 And I’m not necessarily just referring to cats of the same breed; Bengals are sociable and friendly souls if you make sure you buy a well-socialised kitten from a reputable breeder. So we don’t mind who we play with! Of course, the easiest way to make sure your kitties get on with each other is to buy or adopt litter mates! As long as they’ve not been separated for any significant length of time, introductions won’t be needed! 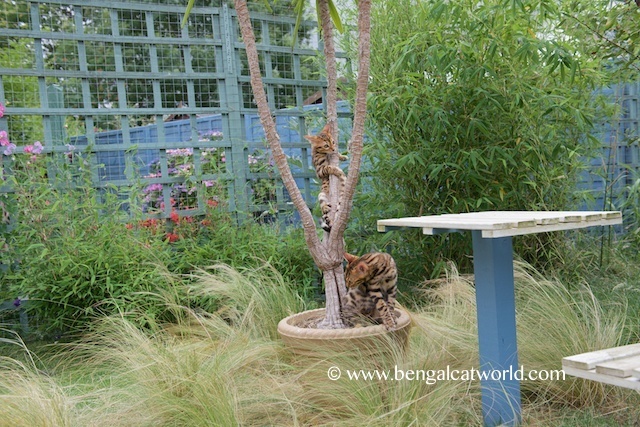 Here’s Spike and Annie, showing what we mean! Playtime is such fun when there’s two! Thanks Spot, for sharing these lovely pics with us. The babes certainly have settled in so very well. 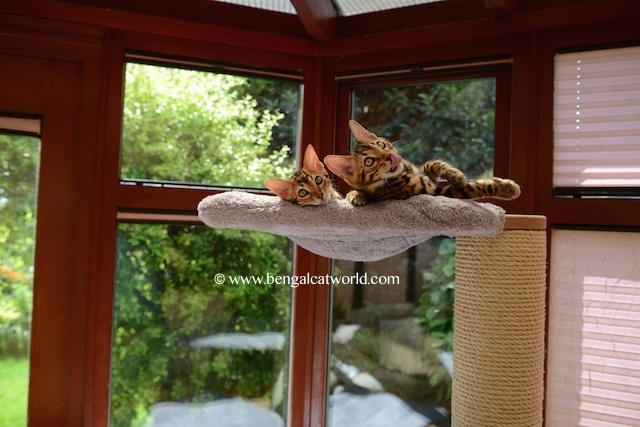 They are getting really cheeky though in taking over one of Lula’s favourite spots in the hammock, guess Dad might have to add another feature or two to accommodate the four of you in your lovely garden. Wonder what new idea he’ll come up with next ? I’m impressed, I need to say. Really rarely do I encounter a blog that’s both educative and entertaining, and let me tell you, you’ve hit the nail on the head. Your thought is outstanding; the difficulty is something that not sufficient individuals are talking intelligently about. I am very glad that I stumbled throughout this in my seek for one thing regarding this.